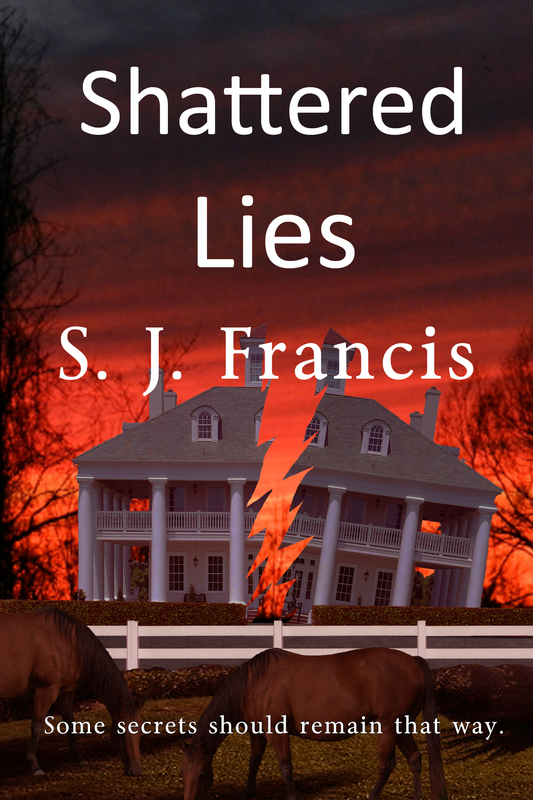 Hello and welcome to a Book Launch today with Women’s Fiction Author SJ Francis for her debut novel…Shattered Lies, an intriguing tale of family secrets and lies. Let’s take a look! Kate Thayer has a good life as a veterinarian, running the family horse farm—until she uncovers an act of unimaginable treachery by those she trusted most and learns that everything she knew about herself was a lie. Her paternal grandmother, the woman who raised her, is behind a number of devastating secrets Kate is compelled to discover. But the deeper she digs, the more betrayal she finds, changing her life in ways she could have never foreseen. Colored employees, headed by matriarch, Maddy are actually her mother’s family. Her mother died in childbirth and despondent, her father shot himself. Worse yet, neither set of grandparents wanted a mixed race baby, though Katherine kept her because she was “white”. Faced with these revelations, she discovers she has a twin sister and goes off to New York City in hopes of meeting her. Once there, Astrid spurns her. As expected, emotions run high. What happens next? What is to come from all of this? Does her family come together for her, or fall apart? The truth is revealed within the pages as Shattered Lies comes to a head. Okay, SJ, you’ve got my interest! Now let’s find out a little bit about you. S. J. Francis is a freelance writer with over three hundred publication credits, a University Lecturer with doctorates in English, Mass Communications and Law, and most recently, a novelist. Francis writes for many publications, as well as regularly contributing to the local newspaper. Francis’ background also encompasses working as a television producer. A frequent traveler, Francis has resided in thirteen states and three countries. A confirmed bibliophile, when not writing Francis can be found reading a good book, or spending time in the outdoors. Francis currently lives in Mississippi, where a major part of Shattered Lies takes place—but grew up in New York City, where the latter portion occurs—and has a great respect and fondness for both places, and considers the world a notebook full of endless ideas. Francis’ first novel, Shattered Lies is a women’s fiction/mainstream/family saga novel. The family dynamic is a never ending source of ideas and Shattered Lies is no exception. As in all the stories Francis writes, in the end, it’s all about family. Future projects include a sequel to Shattered Lies and a novel about the dynamic relationships in Hollywood. Shattered Lies will be released by Black Opal Books on October 24, 2015. So, how can we get this book? What, it’s already available for pre-order? That’s great. And here’s how to stay in touch with SJ who is not only an author but also an animal rights activist and more, with not just one, but four blogs! And now, we’ve saved the best for last. You can win a free copy of Shattered Lies! To all those who leave a comment here today, or those that contact her at her website, you will automatically be entered into a drawing to win a personally autographed copy of her debut novel, Shattered Lies. Two copies are available giving two of you a chance to win. The winners will be selected in December at the end of her blog tour and will be notified by the author. Thanks for stopping by! Wishing you much success and happy writing! 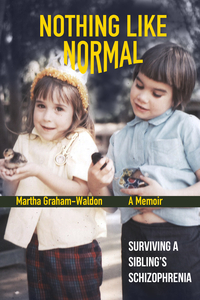 This blog features news about my memoir, Nothing Like Normal, Surviving a Sibling’s Schizophrenia, which was published by Black Opal Books in late 2015. In the meantime, it will also be a voice for myself and others who have faced mental health issues in their families or in their own lives. It will also feature my writing on a wide range of topics with original photos and posts. This is a new adventure for me so who knows what will appear! Join me on this journey and feel free to chime in. This entry was posted in Uncategorized and tagged Family Saga, Shattered Lies, SJ Francis, Women's Fiction. Bookmark the permalink. Awesome interview! Always looking for new authors to read. Think I found one here! Hi everyone! I have passed your comments on to SJ! Good luck in the drawing! Thank you, Dennis for your kind words. I hope my writing doesn’t disappoint. Consider yourself entered in the giveaway to win a free copy. Just visited your interview with author Carol Avile the other day! Awesome book idea! Will be following your blog tour. Hope to wind a copy of SL! Hello Sandy! Awesome following! Thank you for your comment. Consider yourself entered in the giveaway to win a free copy of Shattered Lies, autographed personally from me. I just started following this new author, S.J. Francis. I’m intrigued by both the book and the author. It’s so nice to see other authors helping one another out. What a wonderful idea for everyone! I just purchased Shattered Lies on Kindle and can’t wait to dig in. I enjoyed learning more about this author and will be looking for your other interviews. Thanks for stopping by Anncye! SJ and I both appreciate it. Thank you, Annyce for stopping by and taking the time to leave a comment. Consider yourself entered in the giveaway. I hope you enjoy Shattered Lies, and perhaps leave a review somewhere to help other readers. To keep up with my blog tour, please check out my website above. Glad to see this post, finally. I looked for it the other day and it was gone. Interesting post. Interesting book, too. Good for you. I read about Martha’s book too. Another interesting book I’ll have to add to my TBR list.